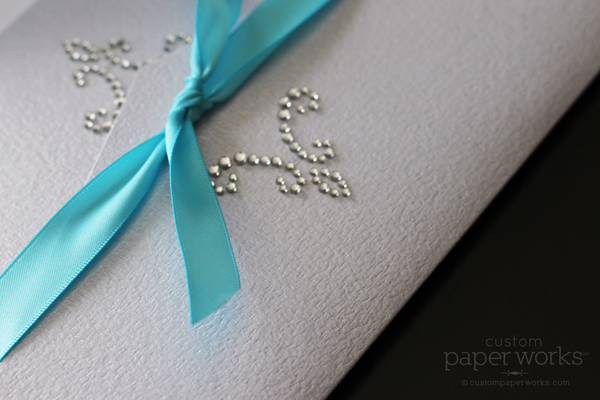 Beth wanted a LOT of crystals and texture on her invitation. Luckily she needed a fairly small quantity so I was able to scope out craft stores for pre-made crystal patterns and found a great set with 2 types of bracket ornaments. 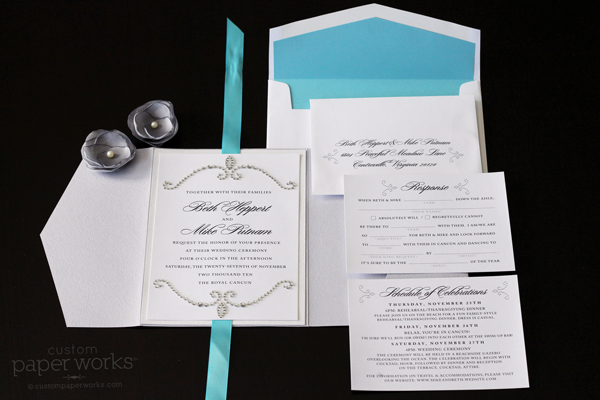 A large design was placed at the top and bottom of the main invitation card while a smaller pattern was adhered to the outside of the pocketfold. 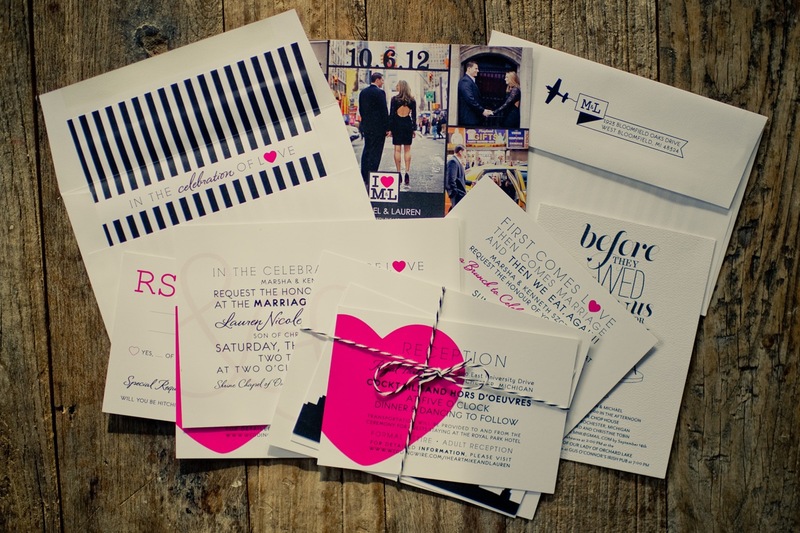 We took the ribbon tie vertical instead of horizontal for even more of a unique look. 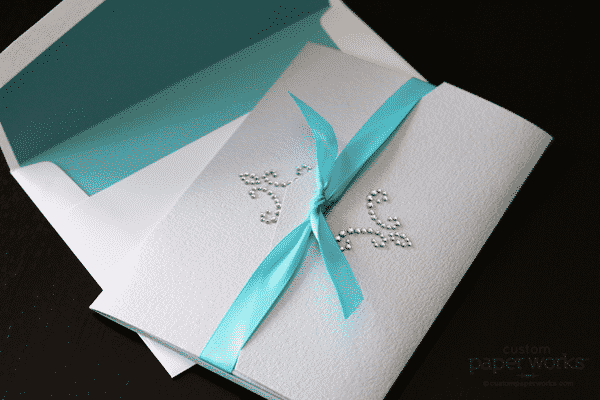 The silver textured cardstock of the pocketfold is SO nice and thick – then we added 2 more layers for the card adhered inside. 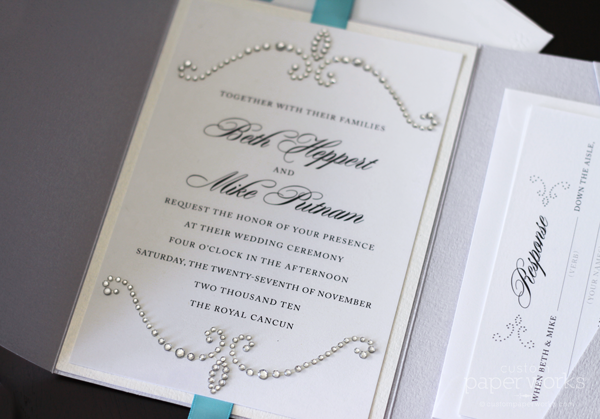 All the details were printed on a cushy soft cotton paper making the entire invitation a textural experience. Note: the larger bracket crystal design is no longer available and would need to be custom-made. 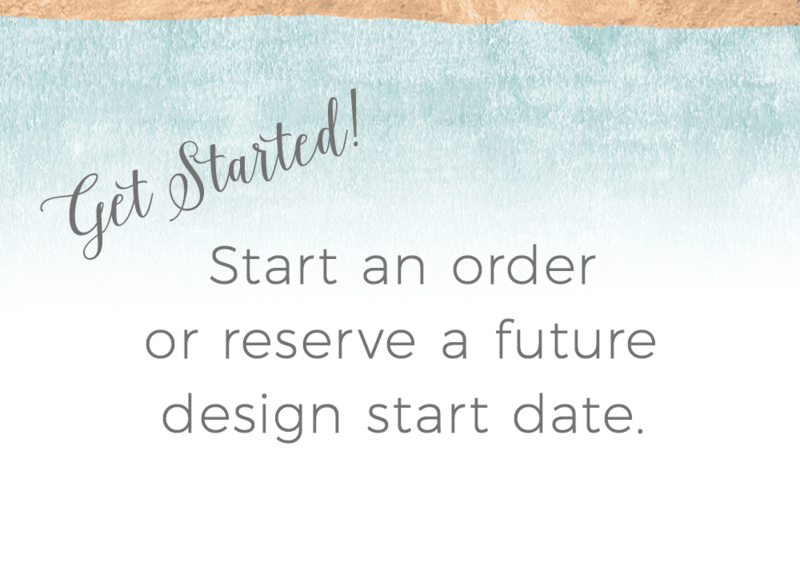 However we do have a limited quantity of the smaller pattern available for use on all types of things: invitations, table numbers, menu cards. 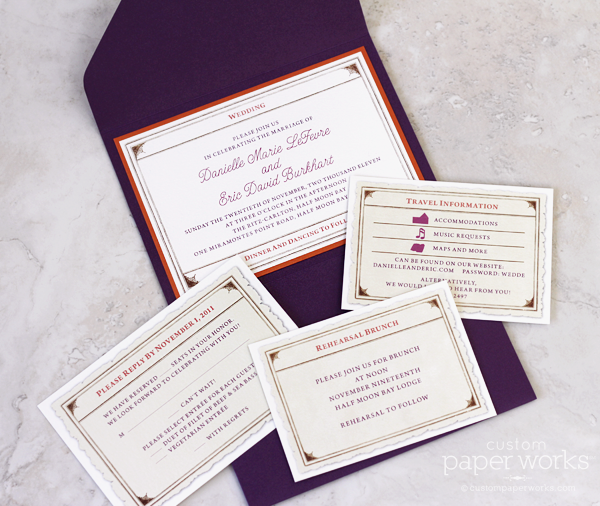 Let me know your ideas and I can build them into YOUR invitations!